A food allergy occurs when the immune system reacts to a food protein, the end result being a reaction which can be very severe, even deadly. In essence, what happens is that the immune system abnormally reacts to something that it should normally ignore. This occurs because the body creates what are called Ige antibodies to certain foods. Then, when these antibodies bind to these food particles, a bunch of chemicals are released by immune cells, resulting in an allergic reaction. The public perception is that 20-25% of the population suffers from allergies, however the numbers are much lower: 3-4% of adults and 6-8% of children suffer from a food allergy. The discrepancy is because there are a number of food intolerances which are often mistaken for food allergies. This includes conditions such as lactose intolerance, celiac disease, food poisoning, and many others. The most common food allergies in children are milk, egg, wheat, soy, and peanuts. In adults, the most common food allergies are peanuts and shellfish. Most children with food allergies tend to outgrow them by early adolescence, however peanut and shellfish allergies rarely go away. Skin testing is generally considered the test of choice in the evaluation of food allergies because it is a safe, quick, accurate, and nearly painless procedure. It can easily be performed in the clinic setting and provides answers in less than 20 minutes. Skin testing is minimally intrusive and is well tolerated by young children (as young as 1 month of age), as well as adults! To perform a skin test, drops of allergen extracts are placed on the forearms or the back and subsequently pricked with a plastic device or a small needle. This feels like someone is pressing the tip of a pen or pencil onto the skin. There is no bleeding. 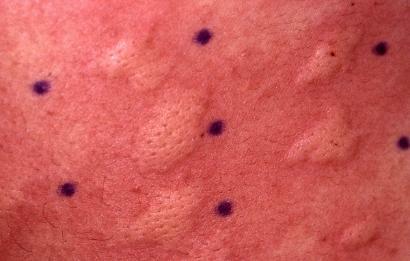 Allergies reveal themselves as red, itchy, mosquito like bumps called wheals. These itchy spots typically go away on their own in less than an hour. One way to evaluate for food allergies is with a blood test. This test works by measuring a sample of blood in a lab for allergy antibodies to selected foods (or other allergens, such as pollens). Results are usually given as a number from 0 to 100. 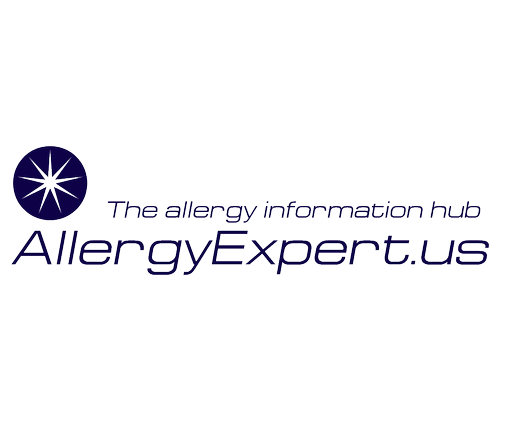 The higher the number, the more likely that an allergy is present. The severity of a reaction, however, does not correlate with the numbers. That is: someone with a very high number will not necessarily have a worse reaction than someone with a lower number. One problem with blood test is that it may be less sensitive than skin testing. For example, one study tried to assess how good three different types of blood tests were by looking at the results of 60 individuals with known peanut allergies. The ImmunoCap and Immulite tests both missed 17% of patients and the Turbo RAST missed 15% of peanut allergic patients. In the same study, all three blood test systems also missed 15% of soy allergic individuals tested. Similar to the skin test, up to 20% of results can be falsely elevated. False positives are also possible with blood tests. It is thus important have blood test results interpreted by an experienced allergist. allergies and nutritional deficiencies as the results are inconsistent and unreliable. For more information on Applied Kinesiology, click here. People who offer IgG and IgG 4 antibody blood testing claim that these tests are useful for the detection of food allergies and delayed food reactions which contribute to a variety of different healthy problems. However, there is absolutely no validity to those claims. Studies show that there is no association between food IgG antibodies, food allergies, or other diseases. The formation of food specific IgG antibodies is, in fact, a normal physiologic immune response: healthy individuals make IgG antibodies to whatever foods they eat, and if they avoid the foods, the quantity of these antibodies decreases or goes away completely. Unfortunately, unscrupulous people use this normal response to foods as a way to convince people that their test and treatments are effective. Other unproven or fraudulent allergy tests and treatments include: (clink on the link for the full scoop on these dubious tests/treatments) Nambudripad's Allergy Eliminination Technique (NAET) - a system of diagnosis and treatment based on the notion that allergies are caused by "energy blockage" that can be diagnosed with muscle-testing and permanently cured with acupressure and/or acupuncture and/or laser treatments. Cytotoxic testing—also described as Bryan's test, the Metabolic Intolerance Test, or sensitivity testing, is touted to help find food sensitivities that cause various conditions such as acne, arthritis, asthma, bedwetting, depression, learning disorders, and so on.